All organizations face HR challenges in their day-to-day operations. And while both for-profit and nonprofit organizations have similar HR needs, nonprofits operate in such a way that it can make finding HR solutions even more overwhelming. Having nonprofit status often exacerbates HR challenges, due to additional obstacles such as limited financial resources or difficulty in attaining and retaining volunteers. Outsourcing many of these tasks to human resources professionals can help nonprofits overcome these challenges with limited resource allocation. Although nonprofit organizations are not typically generating a large amount of income for their services, they are still subject to the same laws that govern all employers. Not complying can mean costly penalties that nonprofit organizations are not exempt from. These laws include: The Fair Labor Standards Act (FLSA), which regulates minimum wage, overtime, equal pay and recordkeeping; and the Affordable Care Act (ACA), which requires any organization with 50 or more full-time employees to offer coverage that meets minimum value and affordability standards. Much like for-profit organizations, nonprofit organizations make use of benefit packages to help attract talented and dedicated employees. This strategy can be even more important in the nonprofit arena, because nonprofit employee salaries are typically lower than comparable for-profit jobs. While already working with limited funding, nonprofits need to not only allocate resources to offer certain benefits to full-time employees, they need to be able to manage them as well. Staffing presents a huge challenge for nonprofits for a number of reasons. Limited resources to dedicate to recruiting can make it difficult to find the right candidates with the unique skills to fill open positions. Employee turnover can be just as costly for nonprofit organization as it is for for-profits, but more detrimental to the already stretched thin bottom line. A larger number of nonprofits have emerged in recent years, adding more competition and making it increasingly more difficult to reach the best possible candidates for any given organization. Nonprofits have to make the determination on whether to classify workers as employees or contractors based on the current state and federal labor laws, just like for-profit organizations do. Nonprofits have the added challenge of managing volunteers, as well. Volunteers must still go through a screening and onboarding process similar to that of paid workers, but the organization has to ensure that its volunteers do not receive compensation, nor do they have the expectation of receiving any. 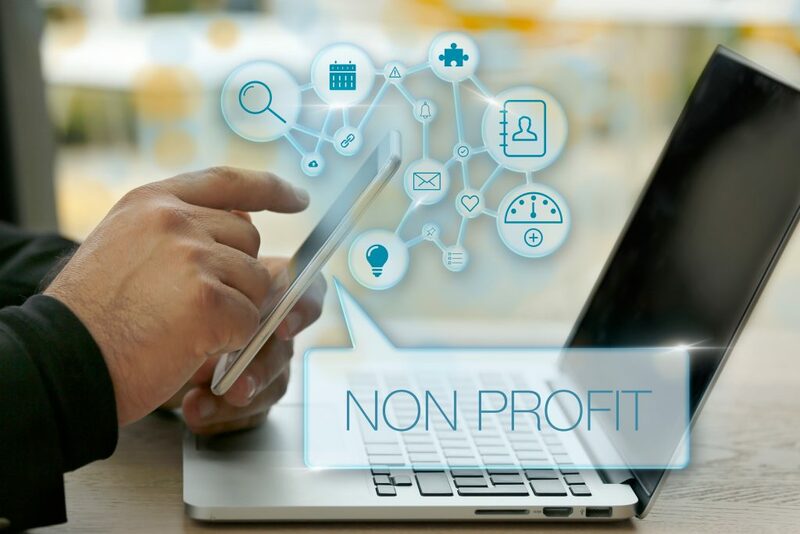 Nonprofits are subject to some of the same payroll challenges as for-profit organizations, which includes complexities such as retirement plan administration, garnishments, worker’s compensation insurance and more. However, unlike for-profit companies, a nonprofit’s 501(c3) status means complying with IRS rules relating to special payroll and tax circumstances. Tax exempt status relieves some of the responsibility regarding FICA and FUTA tax rules, but nonprofits with compensated employees are still responsible for taxable wages. If the organization has employees in more than one state, it can become even more complex, and non-compliance may result in costly penalties for the organization. Employee engagement is just as important to nonprofits as it is to for-profit organizations, perhaps even moreso. Nonprofits exist with the goal of supporting or advancing a cause that benefits people outside of the organization, and typically the bulk of the resources go towards that cause, rather than to the people working towards that goal.